Update: Verizon has issued the following statement: "We are testing AppFlash to make app discovery better for consumers. The test is on a single phone – LG K20 V – and you have to opt-in to use the app. Or, you can easily disable the app. Nobody is required to use it. Verizon is committed to your privacy." The EFF also said it has withdrawn its original report while it investigates further. 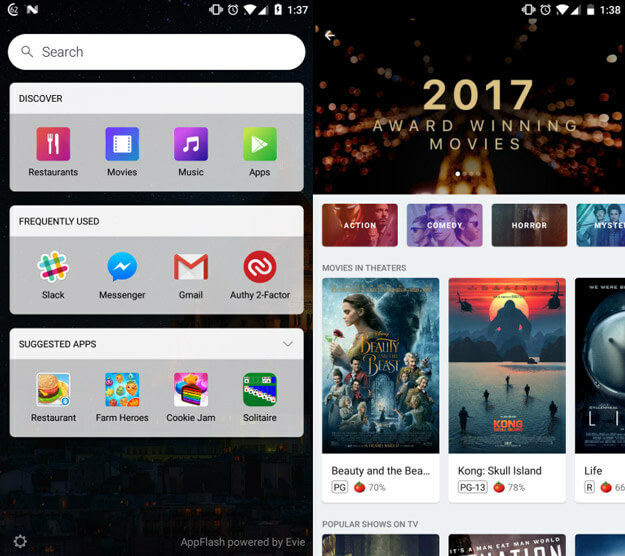 Verizon has announced that a new launcher called AppFlash will join its range of preinstalled applications. The carrier hopes customers will use it to search for everything from restaurants to music to mobile apps, but given it doesn’t appear to be capable of doing anything that the Google’s default launcher isn’t already capable of, it seems its primary function is going to be collecting user data. The timing of the announcement is worth noting given that just three days ago, the U.S. Congress voted to repeal internet privacy rules that would have forced Internet service providers to obtain consent before selling your web browsing history to third parties for the purpose of targeted advertising. AppFlash also collects information about your device’s precise location from your device operating system as well as contact information you store on your device, and specifically mentions it may share this information within the Verizon family of companies for advertising purposes. Realistically, Google collects much of this data, and Verizon does note that you can control what information AppFlash collects about your device and opt-out of targeted advertising. That’s not to say this isn’t worrisome — you could argue Google provides a lot of value through its services while AppFlash is just leeching off of them. EFF also comments on the security angle, noting that AppFlash expands the attack surface that hackers will be probing for vulnerabilities. Evie Labs, the developer behind AppFlash, doesn’t have a contractual requirement to Verizon and plans to offer its software to other carrier/OEM partners if this initial rollout goes well.